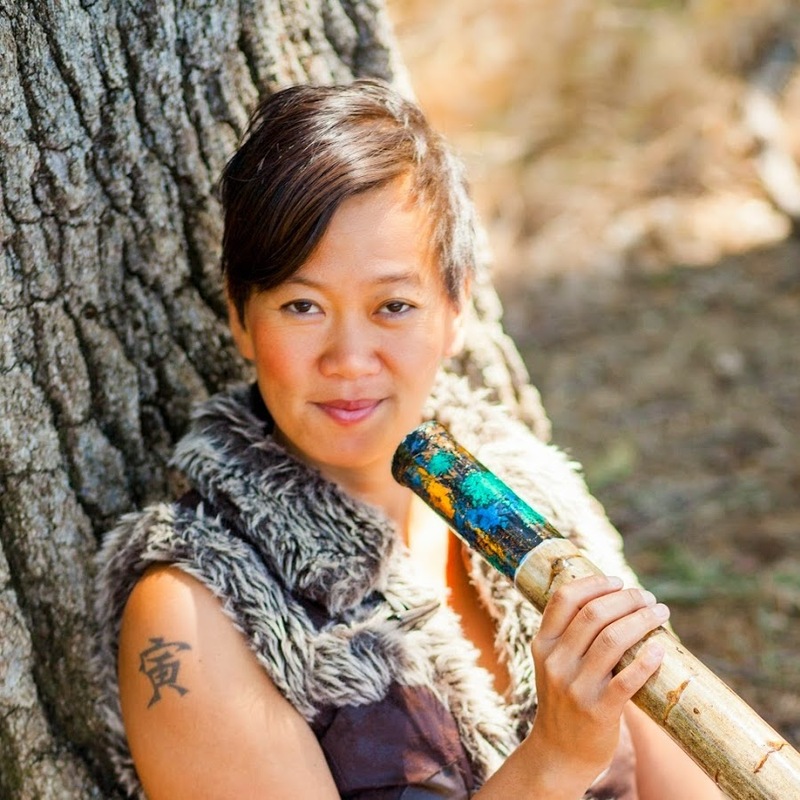 Amber Field is a musician, performer and master teacher. They use music and expressive arts as practices for healing and liberation for both individuals and communities. For them music and art are tools for activism, for personal and social change. They have amazing workshops the teach people how to fine and free their voices. Amber identifies as a genderqueer and non-binary. I personally identify as gender-fluid, and this opens us up to a rich conversation about both of our experiences with gender. Just as I like people to refer to me with he and him as pronouns, Amber uses they and them to signify that they don't identify as either masculine or feminine. There are resources below about gender and gender pronouns. Amber is also transnationally adopted and conducts workshops with adoptees, so we talk about adoption and the work of healing the primal wound that comes from separation from one's mother as a baby. And we talk about the importance for all us to connect with our ancestors as we develop our own identity. Throughout the conversation we talk about the curiosity, compassion and community as we face all of the questions in our lives. We all have our own gender identities and the language we use reflects our gender and the gender of others. Here are some resources for learning more about gender pronouns, how their used, why their used and how you can use them better. This can be challenging if it's unfamiliar, and my advice is to try to be respectful and remember that if you make a mistake, it's not about you. Just keep trying. Here is an essay about they and them as pronouns from mypronouns.org. Do you have questions about the linguistic structure and precedent for the singular they? This episode of Lexicon Valley podcast “The Rise of They” with John McWorther breaks it down nicely. Here's what Merrian-Webster has to say. Yes, “they” is in the dictionary. Finally, this article is helpful if you're struggling with how to actually use gender neutral pronouns. Here are two videos that I mention during the interview with Amber.